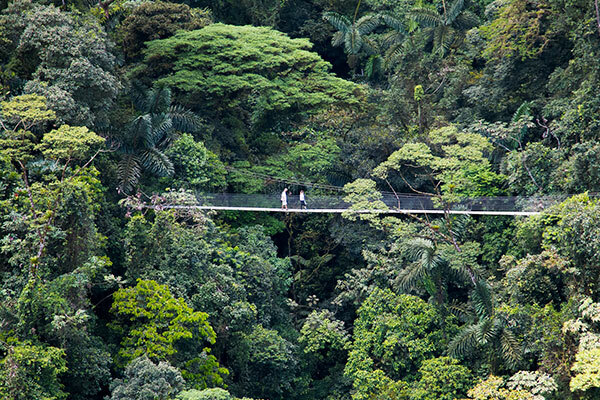 On this 2-mile trek (Trek makes it sound strenuous, so maybe hike) you will cross 15 bridges ranging from 16-330 ft long, suspended in Costa Rica’s rainforest. Accompanied by your naturalist g uide you will have the opportunity to observe some of the area’s flora and fauna. Arenal Hanging Bridges is an eco-tourist project of trails and bridges focused on the observation and protection of nature. The private natural reserve, with almost 250 hectares of Tropical Rain Forest, is home to a vast variety of species from the area. What to Bring: Long pants, hiking or tennis shoes, camera, binoculars, bug repellent.